Scott Miller passed away April 15, 2013, closing out nearly a 40 year career in the music industry. He remains an underappreciated genius of American music. While he was successful as the front man of Alternative Learning and The Loud Family, it was his time as the leader of Game Theory that remains the highlight of his career. He formed Game Theory in 1982 after the break-up of Alternative Learning. During the next nine years he would be the one constant member of the band. While it was at heart a power pop group, he added a psychedelic and experimental element to their sound, moving it in a number of non-traditional directions. 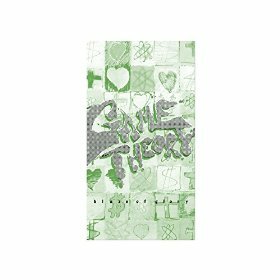 The Game Theory catalogue has been out of print for years but now Omnivore Recordings has begun a project of re-issuing their albums. Their debut album, Blaze Of Glory, is the first of the seven projected re-issues to be released. The original 1982 tapes have been remastered to produce a quality sound. A 28 page booklet traces the albums history and contains thoughts by all of the living contributors. The original album contained 12 songs but now 15 bonus tracks have been added to bring the total to 27. While the quality of the extra material varies, they pretty much cover the early period of the band’s career. Of special interest are the four tracks by Alternative Learning, which form a jumping off point for Miller’s work with Game Theory. Game Theory was in its embryonic stage and consisted of guitarist/vocalist/songwriter Miller, bassist Fred Juhos, keyboardist Nancy Becker, and drummer Michael Irwin. The music is simpler and uncluttered than what would follow. The lyrics are also less edgy than what Miller would produce in the future. The opening track is the laid back “Something To Show,” which is an inauspicious beginning and gives no clue as to what will follow. The key song is “Sleeping Through Heaven,” where Becker’s keyboard and Miller’s guitar run counterpoint to each other. There are also elements of the words competing with the music, which would be explored further in the future. Blaze Of Glory was a breath of fresh air back in 1982. It was the beginning of Miller’s fusion of styles and sounds that may have been outside of the mainstream but were some of the more creative of their era. The album remains an interesting listen.